Mirko, our Australian Hicat® partner has made various units for friends, a local cat rescue centre & obviously, his own cats & the finished product looks great - the Australian Hicat® website should be live within the next month or two so it won't be long before Australian customers can place orders. 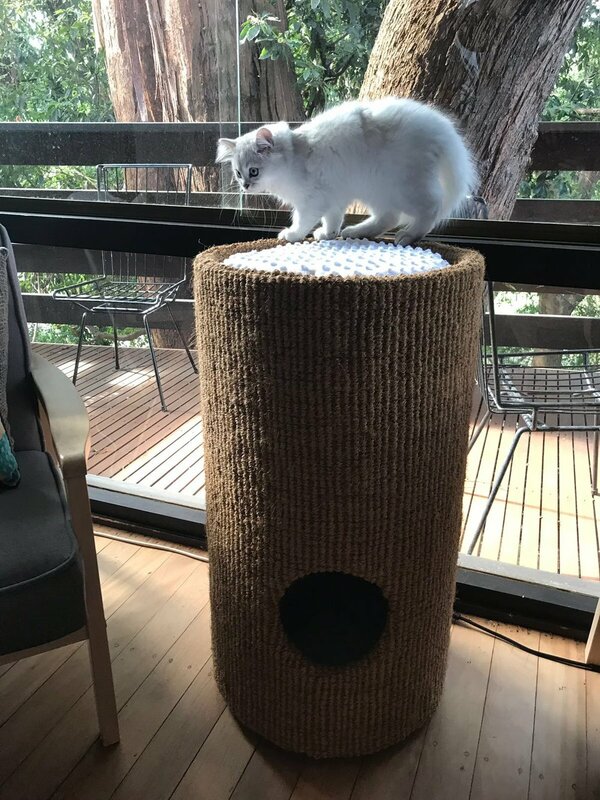 For the launch Mirko will only be fabricating Polecat, Bobcat & Fatcat units however, the intention is to broaden the product range to include Tomcat - finishes will also be limited to Natural Coir & Black Twist Pile carpet for the launch but again additional finishes are planned for the future. Mirko has worked to our fabrication guide & the units look almost identical to their UK counterparts but local sourcing of supplies means that finishes aren't exactly the same & fibreboard core tube sizes vary from the UK manufacturers so the diameters of the product is also slightly different.